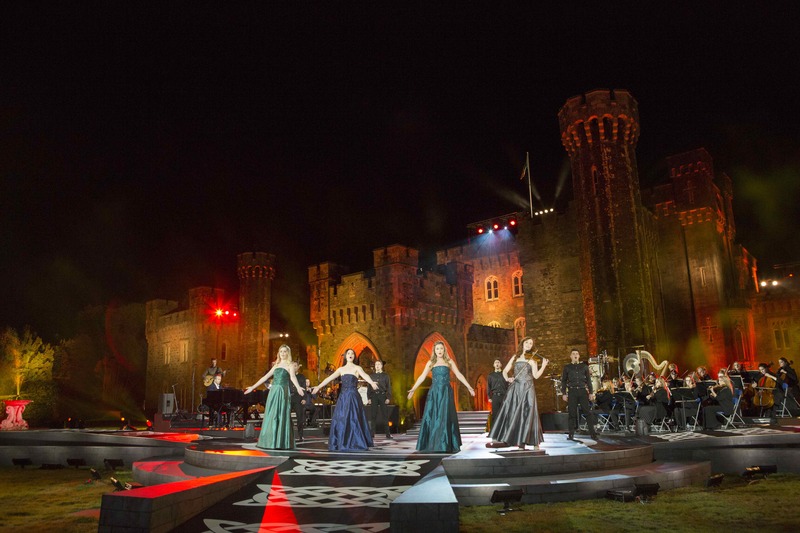 Celtic Woman performing at Johnstown Castle in Wexford, Ireland, the enchanting location for ANCIENT LAND. From left to right: Megan Walsh, Mairead Carlin, Éabha McMahon, Tara McNeill. This concert features stunning new music from their latest album, Ancient Land, along with a selection of timeless classics. Celtic Woman: Ancient Land premieres Tuesday, November 27, 2018 at 8 p.m. on WXXI-TV. During the broadcast, WXXI shares details about the Celtic Woman's upcoming performance at the Rochester Auditorium Theater in March 2019. The two-hour performance will be showcasing the stunning fiddle playing of Tara McNeill and the shimmering voices of Mairead Carlin and Éabha McMahon, Ancient Land also introduces the newest member of Celtic Woman, 21-year-old Megan Walsh, making her debut. Joining Celtic Woman will be a choir and Irish dancers, as well as an orchestra and some of Ireland’s finest musicians playing an array of Celtic instruments, including Uilleann pipes, whistles, percussion and bagpipes. 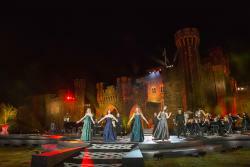 Filmed on a magical Irish evening on castle grounds, this lavish production features the highest quality sound, lighting and staging, all designed to highlight the superb performers gracing the stage. Celtic Woman continues to carry on the centuries-old tradition of telling stories through song — stories of the land, stories of love and stories of dancing.